If you are growing tired of deciding whether or not to wait for the next-generation iPhone or grab one of the latest and greatest Android powered devices, then it might be the right time to extend your mindset and cast your net a little further afield. Microsoft has been attempting for quite some time to nurture and grow interest in their Windows Phone platform, and partnering with Nokia during the Mango stages indicated their intention to eventually make a mass assault on the smartphone market. As part of a joint media event in New York City, executives and representatives of both Nokia and Microsoft have taken to the stage to introduce the new features of Windows Phone 8, as well as two new pieces of Nokia hardware that will be built around the aforementioned software on board. As expected, we witnessed the official unveiling of the Lumia 920, a high-end device that look seriously tantalizing and brings some impressive features to the market. 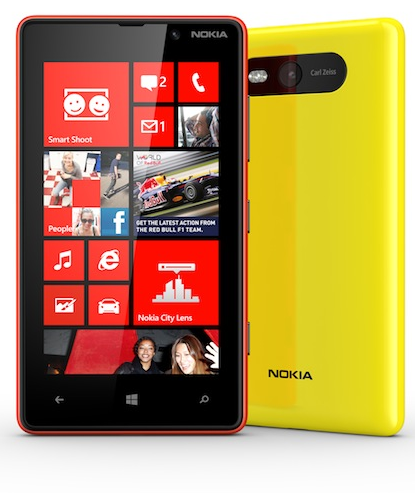 In addition to that, Nokia has also introduced the mid-range Lumia 820 smartphone that is built for those who may have a smaller budget, or don’t require all of the features and power which the Lumia 920 offers. 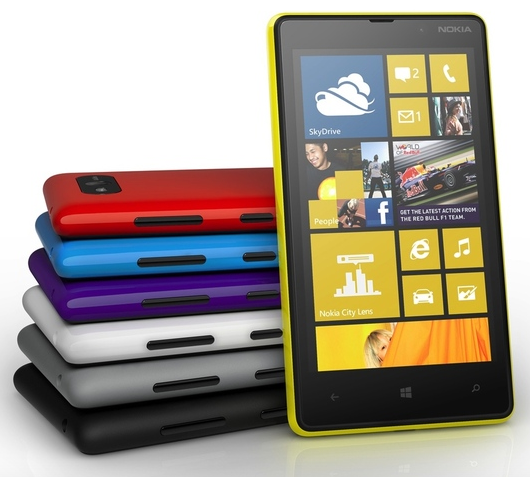 Like its bigger brother, the Lumia 820 will come bundled with Microsoft’s Windows Phone 8 OS, and will actually be powered by the exact same processor that has been included with the Lumia 920. The Qualcomm Snapdragon S4 CPU is a dual-core 1.5GHz monster that will make browsing apps and multitasking a breeze on both devices. The device will come with a standard 8GB of internal storage capacity, but is expandable through the use of a microSD card, and will have a slightly smaller 4.3-inch display with a screen resolution of 480×800, that’s WVGA in geek speak. In place of the 920’s 8-megapixel camera, Nokia is building their mid-range device with an 8-megapixel camera without the all-so-awesome PureView tech, but does come with Carl Zeiss optics. As you would expect in this day and age, the Lumia 820 comes with a rather gorgeous capacitive touchscreen display, and just like the Lumia 920, it is actually usable when wearing gloves, which is extremely handy for those like myself who live in colder climates. To finish off what is a very nice little device, Nokia has included the ability to change the cover on the device, great news for those who like a little bit of variety in life. Apparently, it will be possible to purchase a nice little cover that actually brings with it the ability to take advantage of wireless charging on the device. Perfect for those potential Lumia 820 owners who feel like they might be missing out on owning a Fatboy charging pillow. Pricing and availability of the device is yet to be unveiled.